Exhibitors continue to seek ways to extend their reach without denting their wallet. 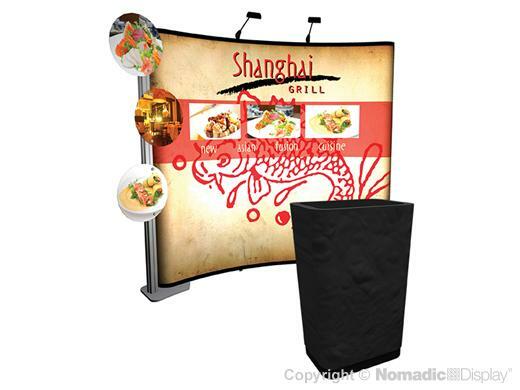 So power up your presentations with a 10' Instand® trade show display featuring fresh new looks that incorporate Mini Foundation, stand-off graphic signage and premium halogen trade show lighting. Nomadic ShowMate case has been discontinued. Please contact Customer Service for discussing the case option. Price does not reflect the change of the case(s). 1 - ShowMate Case - 37" x 10" x 22"